Longtime southern drum corps fans Jack and Nancy Leavell sent this photo. 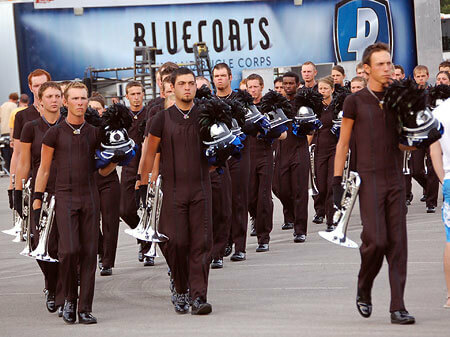 This picture of the Bluecoats horn line (with their game faces on) was taken in the parking lot at Middle Tennessee State University before the Masters of the Summer Music Games event in Murfreesboro. The horn line is marching to their warm-up area.